We're counting down the days 'til Christmas and will be giving you a present each day! Everyday from December 1st until the 24th we will be offering one item for 50% OFF - good that day only!! There will be ONLY ONE of each item offered, so you'll have to act quick if you want it. 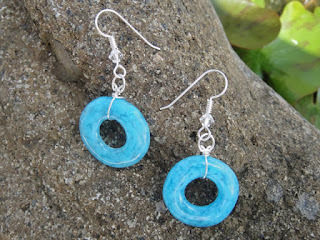 Turquoise Halo Earrings - Regularly $32 - yours for only $16! A thoughtful gift for that girlfriend of yours with the pretty blue eyes! Canary Cuff - Half Off Today Only! 3 New Deals at 50% Off!